There is so much to absorb on a first visit to Sydney, Australia – the views, the sunshine, the food, the stunning architecture. Fortunately, even on a short visit you can enjoy the city from many angles for free! 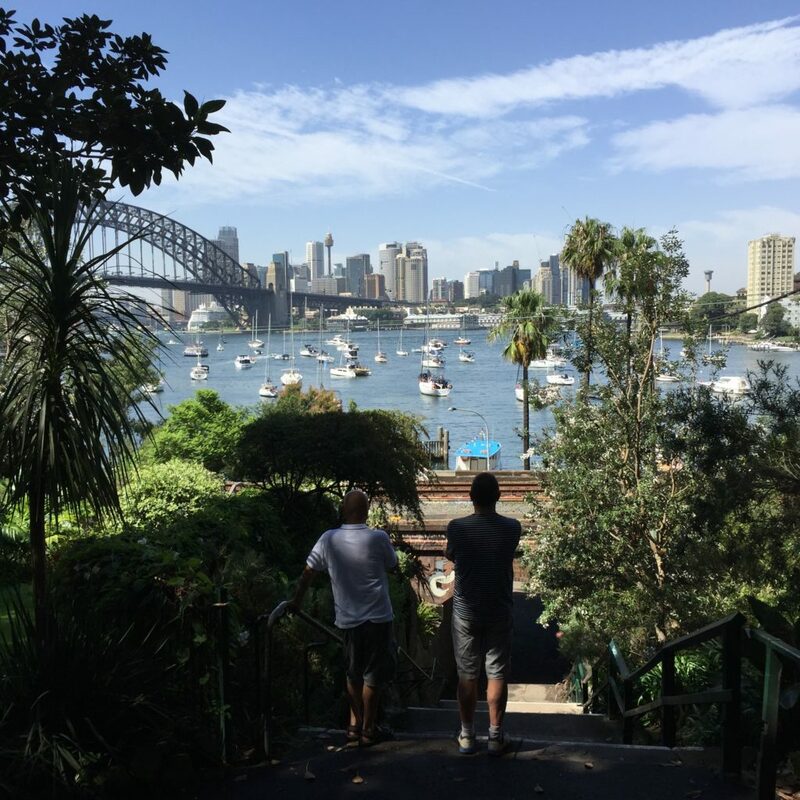 Many residents and visitors often complain about how expensive it is to live in Sydney, so while we only spent a week touring there we tried to find as many activities and vistage points for free as possible. Of course the best value way to visit a holiday destination is to secure free accommodation either through house-sitting or visiting friends through networks like HouseSitMatch.com. 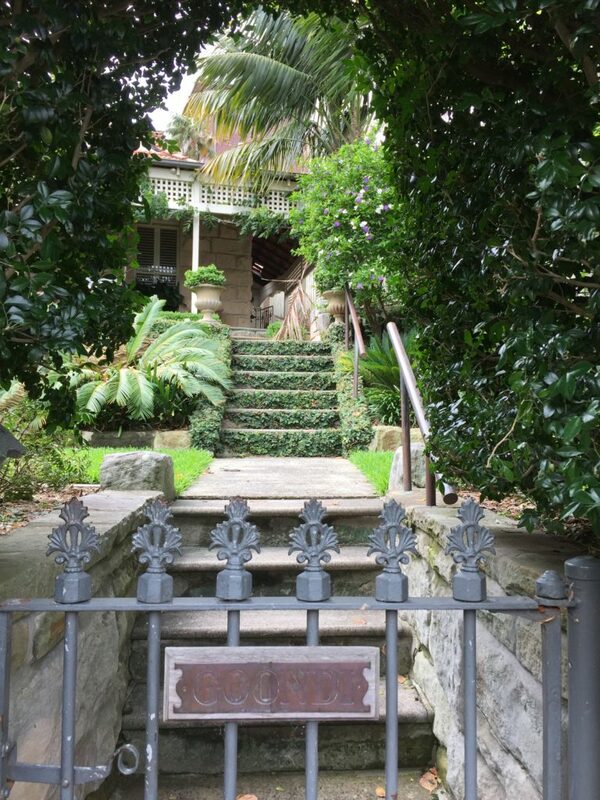 We were fortunate on this occasion to visit with family in Neutral Bay, on the North Shore. However, if you have pet and homecare experience you can also find a housesit assignment to secure free accommodation for your trip. 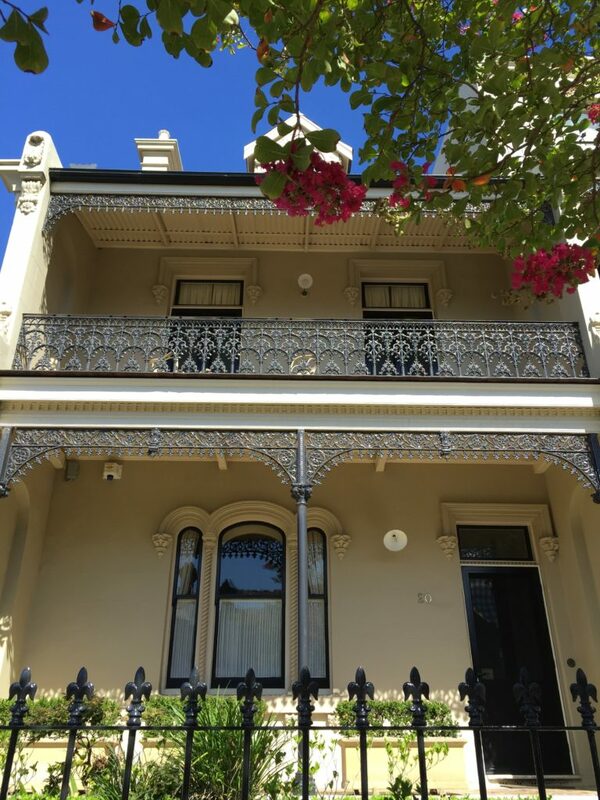 As we walked the neighbourhoods and spacious roads of the city and its environs we saw some period and modern homes that were full of character reflecting the history of Sydney. 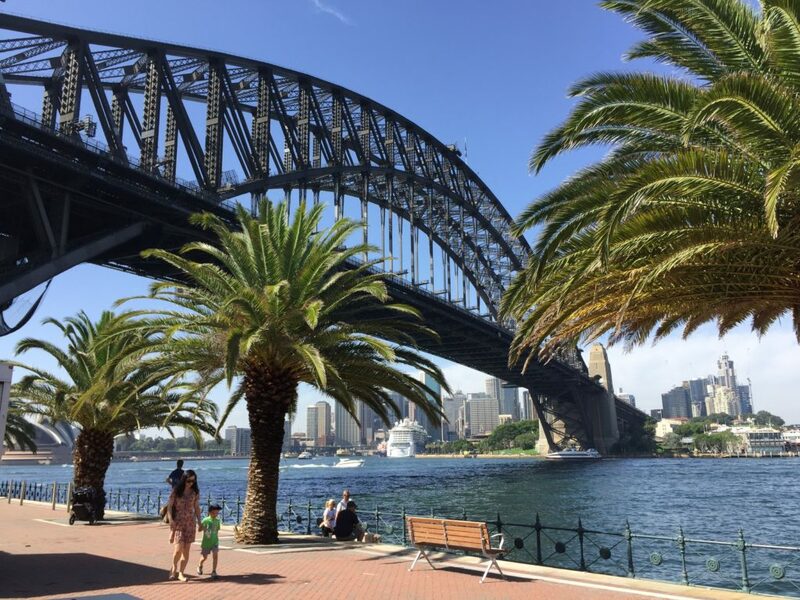 In fact as a visitor free Sydney can be simply stunning. The city of 4.6 Million people, 25% of the total population of Australia, is actually built on a very human scale. We were stunned to find that walking around the harbour was incredibly easy and the most breathtaking scenes quite accessible on foot. Here is a short description of some of the things we were lucky enough to enjoy. 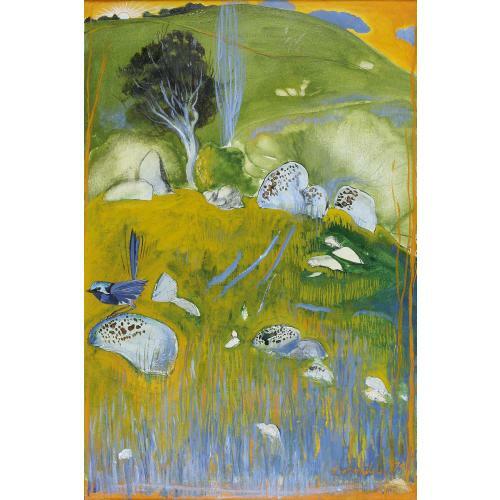 On a Sunday walk around the harbour shore we came across the home of Australian artist Brett Whitely, and the garden cultivated as his memorial by his wife. 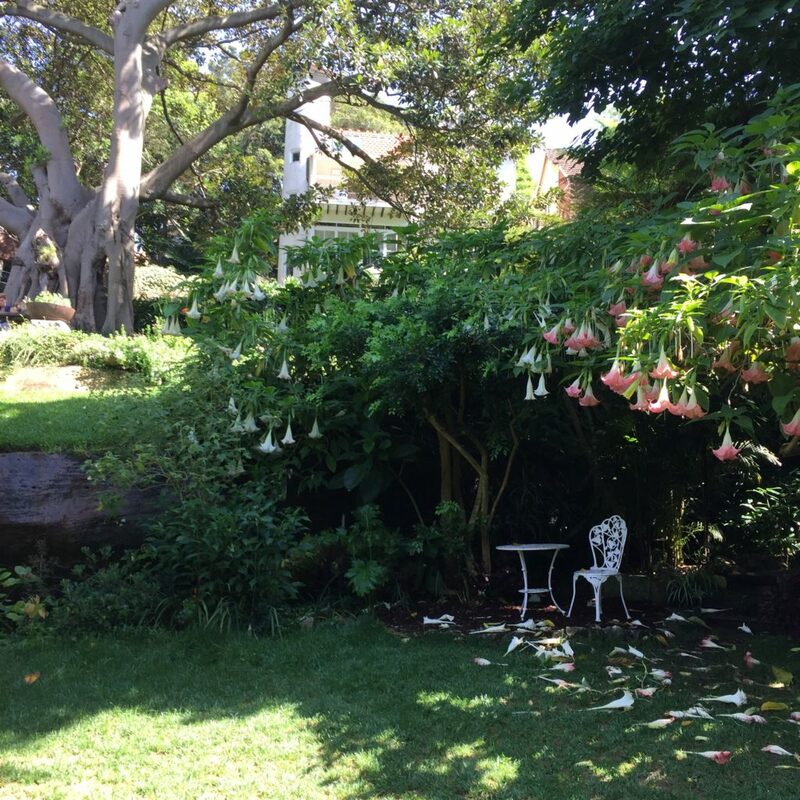 Wendy’s secret garden is charming and a beautiful retreat from a vibrant city. Walking is a fabulous pass time in Sydney we discovered. 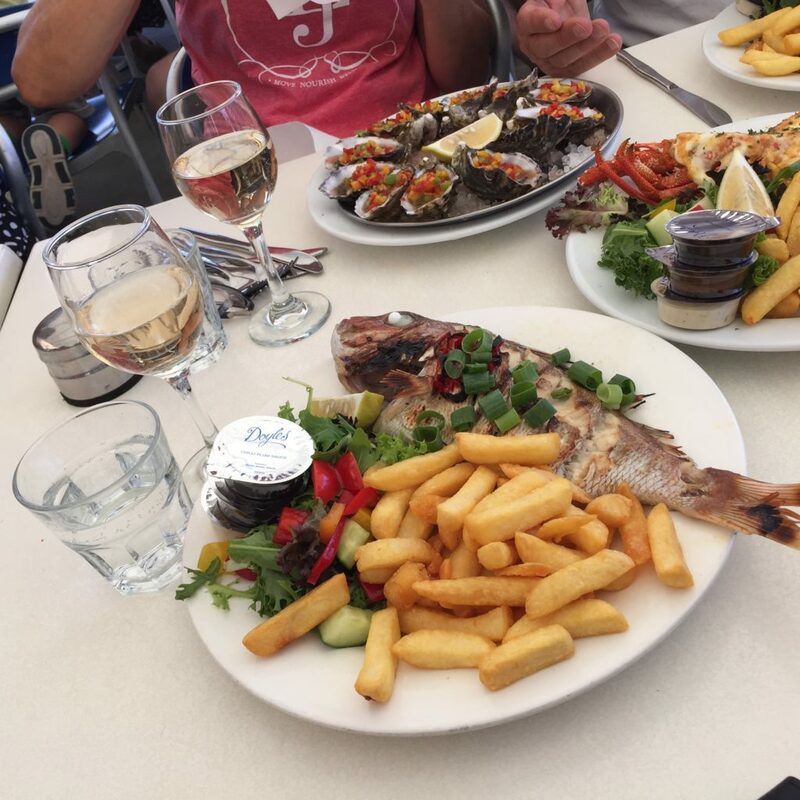 We toured on foot all over the city, across the bridge, through the Rocks (oldest part of the CBD), Hyde Park, and we took the ferry to various beaches and suburbs around the city. We travelled to Milson’s Point for breakfast at Ripples on the North Shore. Once in the Central Business District (CBD) there was a great choice of places to enjoy the views of the city for free. In the Rocks we climbed the International Passenger Terminal tower for an obligatory selfie! It was a great place from which to view the latest docked cruise liner at close quarters. 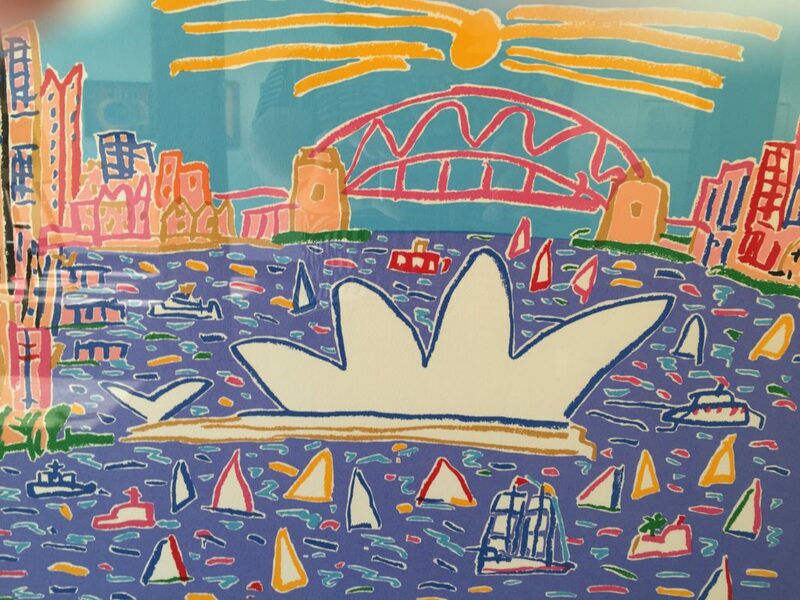 We also stepped into abstract views of the city in the Ken Dome Gallery in the Rocks which was free to enter. His iconic abstract views of his native city are world famous. Later that same day we took a trip to the Sydney Fish Market which was lively and buzzing with people even on a Sunday. We toured a number of the stalls which were crowded with all manner of shoppers and families selecting produce from a vast array of seafood and crustaceans. Bright red crabs, shrimp the size of fists, star fish, squid of every shape and size was available to buy and eat. We later had an inexpensive meal at Doyles in the market.